The publication that covers news and stories from the American Indian Science and Engineering Society just released it’s latest issue. 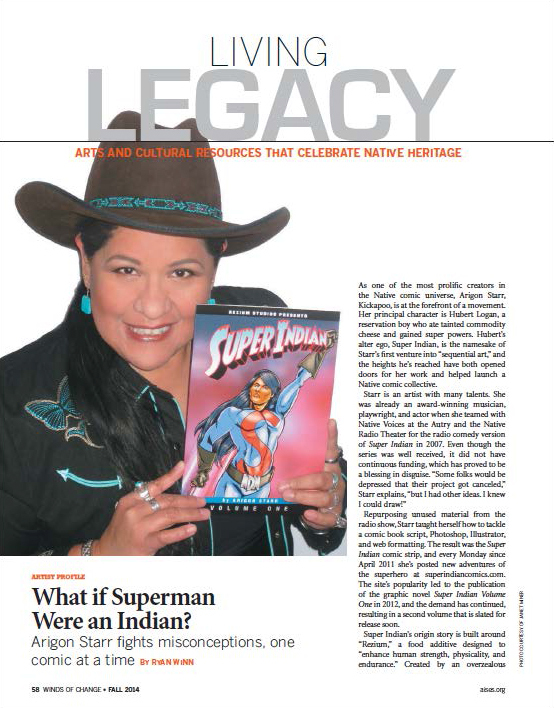 “Winds of Change” has a two-page spread on “Super Indian” that has some of the best writing on the project we’ve seen. Next Super Sale on ComiXology til January 1st!